“We’re really excited to be invited to play Rock Allegiance this year!! Our second time there, and we are happy to join A7X and Limp Bizkit – who we haven’t played with in many, many years – and we look forward to bringing it to Camden, NJ this year full on! 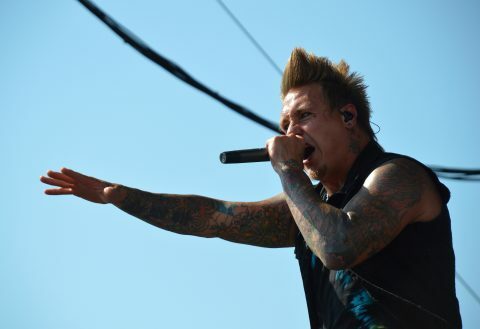 !” says Papa Roach frontman Jacoby Shaddix. Monster Energy Rock Allegiance is proud to support beer entrepreneurship with a celebration of craft breweries hailing from the region and throughout the nation. The initial lineup of breweries at Monster Energy Rock Allegiance is as follows: 21st Amendment (San Francisco, CA), Dogfish Head (Milton, DE), Founders (Grand Rapids, MI), Neshaminy Creek (Croydon, PA), Oskar Blues (Longmont, CO), Spellbound (Mount Holly, NJ), Tröegs Independent Brewing (Hershey, PA), Unibroue (Chambly, QC), and Victory Brewing Company (Downington, PA). The initial food lineup for the festival includes: Baby Blues BBQ, Chickies & Pete’s, Lil Trent’s Treats, Nico’s Pizza and More!, Sum Pig Food Truck and Tony Luke’s Cheesecake, with many more to be announced. Monster Energy Rock Allegiance fan hotel rates are also available. Visit www.RockAllegiance.com for details. The festival is fueled by Monster Energy. Additional sponsors include f.y.e., Roadrunner Records, Fxck Cancer and SWFTCharge, with more to be announced soon.